A rare and remarkable "square" piano—likely the instrument the wife of famed Civil War General Lew Wallace was playing when Wallace first saw her in the 1830s—has been moved from Wabash College to the new Carnegie Museum in Crawfordsville. The piano, built in Boston by T. Gilbert and Company, is on loan to the museum through an agreement with the College. It is believed to have been bought by Isaac Elston for his daughter, Susan, who later became the wife of Crawfordsville’s Lew Wallace, Civil War general, ambassador to Turkey, and the author of the novel Ben-Hur. 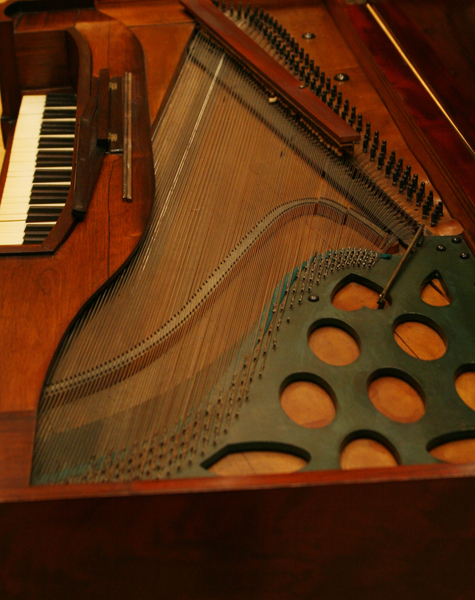 Read more about the piano’s restoration and history here.